Natural Mothers Day gifts and many naturally fragrant products at Daisy Gifts Ltd. Choose from natural lavender dried flower bouquets, pot pourri gift packs, dried lavender bags and gift sets to buy online. Mothers Day 2019 is on Sunday 31st March. 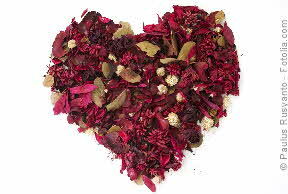 Or handmade Rose potpourri from our own Sussex workshop. Other fragrances include Lilac & Lavender, Fruity Orange and Natural Cotton. See our dried flower bunches department inside the shop for more natural Mothers Day gift ideas. 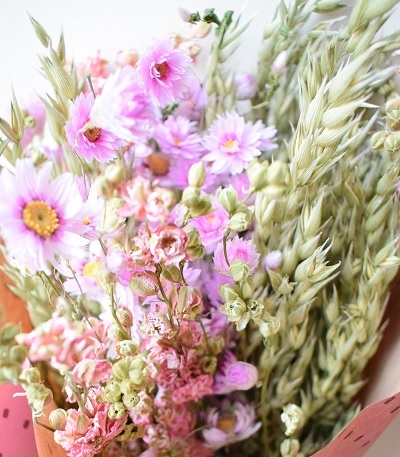 A dried flower bouquet is natural, unusual and long-lasting. Dried lavender Super Blue bunch, approx 28cm long. Dried flower bouquet. Softly fragrant indigo bunches of Lavendula Angustifolia, each containing hundreds of stems. From the lavender fields of Provence. Supplied wrapped in cellophane and tied with raffia with co-ordinating tissue and label. Send direct to recipient if you wish - availability varies. 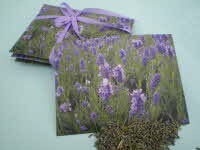 More lavender bags and sachets. Large, freestanding dried lavender bunch, approx 40-50cm long, with hundreds of stems. Fragrant dried lavender from the lavender fields of Provence. Soft blue colour. To buy our natural Mothers Day gifts, just click on the Enter Shop button to visit our online shop at www.daisyshop.co.uk where you can browse our range and pay securely. Back to top of natural Mothers Day gift ideas page. Check out Ruth’s Dried Flower Craft blog for ideas for making your own natural Mothers Day gift such as this homemade potpourri.